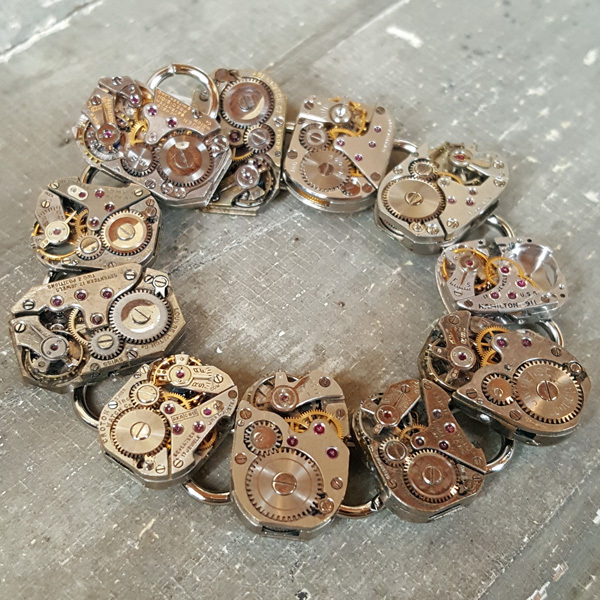 Our Small Movement Bracelet is made with the inner workings of women’s watches and actually have real rubies in them. 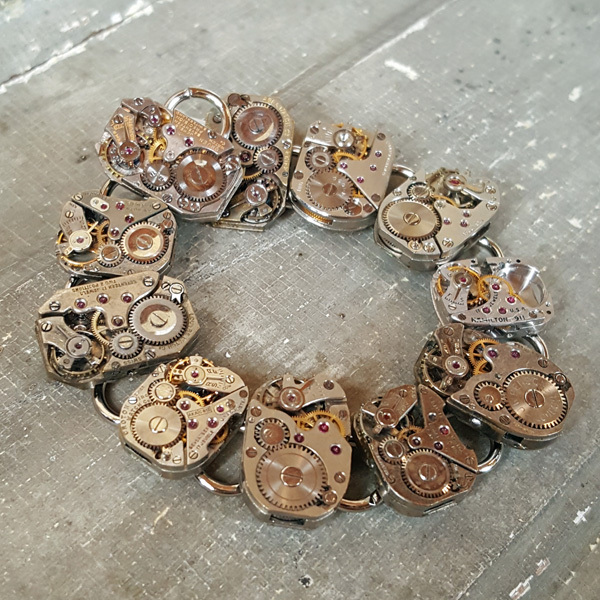 The more jewels that the watch had, the more smoothly it would run. This, of course, meant that it would keep better time. This bracelet measures 7 1/4 inches in length. Due to the nature of antiques, watch movements will vary. However, beauty and quality will always be consistent! 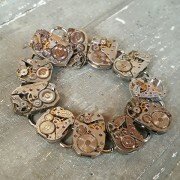 We only pick the best for this unique bracelet.